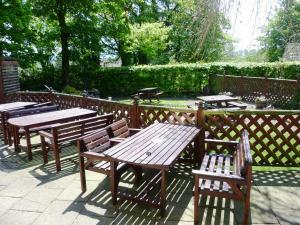 Below is a comprehensive list of hotels in Grassington. 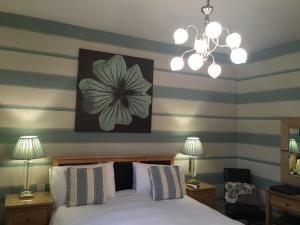 Use the sort links to refine your search or to find featured accommodation in Grassington. Many of our hotels in Grassington feature no booking fees and best price guarantee when booked through the Pictures of England website. 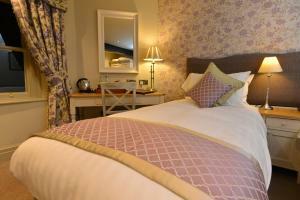 To list your hotel in Grassington, click here. Situated in Threshfield, The Old Hall Inn offers a traditional pub restaurant, free WiFi throughout, and free onsite parking. In the heart of the York..
Nestled within the Yorkshire Dales in Threshfield, Bridge House is a countryside Bed and breakfast, providing luxury accommodation located in the priv.. 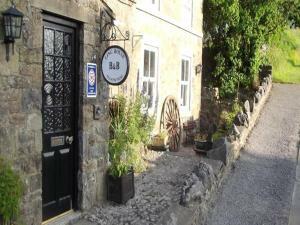 The Clarendon Hotel is set in Grassington, 40 km from Leeds and 29 km from Harrogate. Guests can enjoy the on-site bar. Free private parking is availa..
Tophams Laithe is a holiday home set in Grassington in the North Yorkshire Region and is 46 km from Leeds. The property is 34 km from Harrogate and fr..